Six Facts About New Business, By Jim Hassett, Ph.D.
start winning more legal services business. Did you take several courses in law school about how to build stronger relationships with clients, and how to sell legal services? I didn’t think so. This chapter introduces the basic concepts that should have been covered in that course. If you are one of the many lawyers who thinks that selling means running ads and trying to force yourself on strangers, you must read this chapter. Those approaches usually don’t work. When they do, it’s after an enormous amount of effort. So if you want to get the most from marketing, it’s important to spend your very limited time on the tactics that will work fastest for you. This article is a chapter excerpt from the book Legal Business Development: A Step by Step Guide , by Jim Hassett, Ph.D. The entire chapter is available as a free PDF document, available for download at the bottom of this page. This book is now in its second edition (published January 17, 2012) as Legal Business Development Quick Reference Guide available on Amazon.com. When lawyers first think about selling, many immediately start planning how to find new clients. But selling begins at home, and they would have much greater success if they focused first on the clients they already have. "The chances of selling to an existing client are better than one in two. The chances of selling to a lost client are one in three. The chances of successfully selling to a fresh prospect are one in eight." The exact numbers will be different for your firm, but experts agree that in every business, it’s much easier to sell to people who know you than to sell to strangers. One way to get started with your current clients is to offer a free meeting to learn more about their business needs. At a minimum, this will help build your relationship and protect you from competitors. With a little luck, it will also lead to new engagements. For example, when one of my clients used the process in Chapter 1 to prioritize marketing action items, he decided to call a current client and offer a free meeting to discuss a new program. The client loved the idea that the meeting was free, and provided the name of a new contact he wanted to include. When my client called to schedule the free meeting, the new person mentioned a litigation that was about to be assigned to a competitor. The lawyer immediately arranged a separate meeting about that work, and got that significant engagement. The new business came in before he even conducted the free meeting. In today’s competitive environment, other law firms would like to take your best clients, so you will need to put in more and more effort to protect what you have. This topic is so important that it has its own chapter. After you’ve done everything it says in Chapter 4 (Client satisfaction and loyalty), then you can start thinking about new clients. To achieve long-term success, every firm needs a steady stream of new clients. Unfortunately, as I said in Chapter 1, finding new clients is the hardest work you can do in a suit. Even among professionals who devote their lives to selling, failure rates are high. In Gallup’s data on 250,000 professionals,3 the bottom twenty-five percent in every sales force sell very little, and actually reduce the team’s productivity by distracting valuable management time. That’s one reason why turnover is so high in sales positions. When lawyers try to find new clients, some will succeed and some will fail. Can anyone predict which are which? I have seen claims that some tests can, but I’ve never seen convincing data. The lawyers who are most successful sometimes surprise me, and even themselves. They are the ones who find the fit between their personal strengths and the firm’s business development needs. The conclusion is obvious: when a law firm first works on increasing sales, much of the initial effort should be aimed at existing clients. What should you do when you have one hundred percent of a client’s legal business? Work even harder to assure that they are raving fans who cannot be tempted to switch to a competitor. For more on this topic, see Chapter 4: Client satisfaction and loyalty. Until recently, the same could be said about selling. But these days the competitive bar is going up. According to the 2006 ALM survey,5 sixty-nine percent of large firms (with an average of 489 lawyers) and forty-six percent of mid-sized firms (with an average of 118 lawyers) have implemented sales training programs. And when one law firm succeeds in training its lawyers to get new business, it usually takes the work away from a second firm. When I interviewed chief marketing officers for an article in June 2006, several mentioned that when they compete with most firms, it’s easy to take away business by providing exceptional service. But when they compete with other firms that also provide exceptional service, getting new business becomes much harder. How can you expect to keep up, if legal sellers become more sophisticated year after year? It’s going to take more time and money, and goes back to the discussion of marketing budgets as an arms race (see Chapter 2). Most lawyers find it is more efficient to hire sales experts as coaches and collaborators, rather than to spend the time to become sales experts themselves. Tiger Woods has a coach, and more and more legal rainmakers do as well. Can you really expect to compete in this arena if you are not a natural salesperson? Yes. Natural ability is overrated. You may be born with the ability to convince most people that you are good at sales, but that’s a different skill from actually being able to bring in new revenue. Which is one of the many reasons it is so hard to hire great salespeople: it’s much easier to look great than to be great. According to traditional stereotypes, “a good salesperson can sell anything.” That good salesperson was probably on the football team in high school, is fun at parties, mixes easily at networking events, and can quickly become anyone’s new best friend. For all people who do not fit this profile (including most lawyers and me), the logical implication is that we were not born to sell, so we should not waste our time trying. But when the Gallup organization studied 250,000 sales representatives over forty years, they found that the “salesperson who could sell anything” was a myth. In fact, top producers in one industry often perform poorly in another, because different types of selling require different skills. As Benson Smith and Tony Rutigliano put it in Discover Your Sales Strengths, “The strengths that make someone an excellent pharmaceutical salesperson are different from those required to excel in selling real estate, or jet engines, or strategic consulting.”6 Just as Michael Jordan found that basketball skills did not help him get to first base, a sales star in one industry may do poorly in another. Gallup also found that each successful salesperson develops a unique selling style based upon their particular personality strengths. In their surveys, one of the items best correlated to sales success is the statement: “At work I get to do what I do best every day.” High agreement links to job satisfaction, effective performance, profitability, and customer loyalty. And the more strongly you agree with this statement, the more productive you are likely to be. 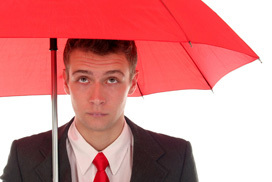 Think about the top legal rainmakers you know. Chances are, some of them have succeeded through public speaking, some through community involvement, some by becoming active in professional groups, and some by taking clients to football games. Each has found how to apply their personal interests and strengths. If you buy your own copy of Smith and Rutigliano’s book, you’ll get a code you can use to take a personality test on their website and diagnose your own top strengths. To a psychologist, the quality of the conclusions lies somewhere below what my psychologist colleagues would call validity, but well above the kind of self-test you see in the Sunday newspaper. More importantly, it’s a lot of fun. When I took the test, my top strength was responsibility. “You take psychological ownership for anything you commit to, and whether it is large or small, you feel emotionally bound to follow it through to completion. Your good name depends on it.”7 This is not a surprise to anyone who knows me, but I like the way it sounds. If you take the test, you may sound even better, since there are thirty-four “signature strengths” and they cover the range from Activator to Adaptability and Competition to Connectedness. In this test, there are no weaknesses. The most important point for lawyers is that selling is a skill. To start learning, you must identify the tactics that fit your clients and your personality, and master a few basic techniques, such as listening. Plus: 2 exercises to help you improve listening skills and plan advances! Warner Books, 2003, p. 24. 4 Maister, David. “Are Law Firms Manageable?” Blog dated March 29, 2006. 6 Smith and Rutigliano, Discover Your Sales Strengths. p. 12. Jim Hassett founded LegalBizDev to help lawyers develop new business more quickly by applying best practices from other law firms and from other professions. Before he started working with lawyers, Jim had 20 years of experience as a sales trainer and consultant to companies from American Express to Zurich Financial Services. Learn more at www.legalbizdev.com. Also see Jim's blog, Legal Business Development for more helpful advice. © Jim Hassett. All rights reserved. Published with permission.